End of an era with the death at age 66 of this genius and giant of the guitar, an inspiration to so many. Rest in peace, Maestro! “The city of Algeciras has decreed three days of mourning and will assist the family in bringing the body home. De Lucía was a globally admired artist who won the 2004 Prince of Asturias Award for his tireless exploration of the possibilities of flamenco. He will also be remembered for his association with the late flamenco singer Camarón de la Isla during the 1960s and 70s. 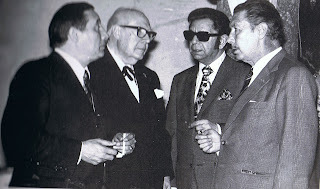 Segovia’s stated credo was that he, like the Blues Brothers, was on a mission from God — well, maybe not God, but a sort of holy mission — to rescue the guitar from the taverns and the associated lowlife folks in whose hands it was then found. Obviously, he could have problems with flamenco. Well, not quite, as it turns out. 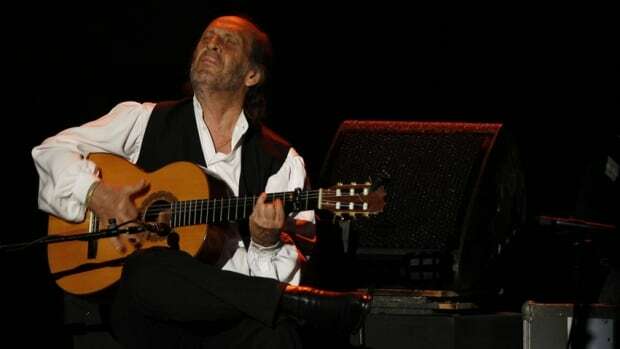 Thanks to Brook Zern of the Flamenco Experience for this fascinating article. Wow – I think an obsession with speed causes more cases of RSI than anything else, but when done with grace and ease, as here, it is a beautiful thing to behold. Take it easy like he does! It is still a tool for making music….